Mandatory Posting of Hospital Charges: Rest In Peace. I thought that before I signed the death certificate of the Posting Standard Charges Project, that I would place a mirror beneath its nostrils just to make sure it was ready to put in the ground. I was planning to add this confirmatory step as an addendum or comment to my first article, but it was clear that additional details and discussion would be necessary. My first pronouncement was based on a bedside-look at the several chargemaster databases. What did the local hospitals choose to disclose; what must they have intentionally omitted; how easy was it to find anything; and was the information useful to compare different hospitals? I did not even have to feel for a pulse to know the answers. Out of fairness and a desire not to bury the patient alive (but with certainty that my initial diagnosis was correct) I applied a more definitive diagnostic test that might been a valid real-world trial for me had these posted standard charges been available last Fall. Author P HasselbacherPosted on January 29, 2019 April 2, 2019 Categories Health Care Reform, MedicareTags chargemaster, disclosure of standard charges, hospital charges, MedicareLeave a comment on Mandatory Posting of Hospital Charges: Rest In Peace. Update On The Rising Prices of Insulin Between 2013 and 2016. Author P HasselbacherPosted on May 25, 2016 May 25, 2016 Categories Drugs, Medicaid, MedicareLeave a comment on Update On The Rising Prices of Insulin Between 2013 and 2016. Soaring Insulin Prices Highlight Broken Pharmaceutical Policy. Just business– or greed? You be the judge. Author P HasselbacherPosted on May 1, 2016 May 2, 2016 Categories Drugs, Medicaid, Medicare2 Comments on Soaring Insulin Prices Highlight Broken Pharmaceutical Policy. Potpourri of Health Policy Issues in June. My cup runneth over with potential issues to explore. June has been a busy month both locally and nationally insofar as things I like to write about. The shame-on-me is that I have not carved out enough time to do so! In part I am still picking up the pieces after my early spring travels. Exploring how to unpack and deal with the new Medicare prescription drug data base also took a lot of time. The truth is that I am a slow writer handicapped by a default and probably over-wordy professorial style. I haven’t even been able to update the Institute’s Facebook and Twitter pages! What follows is a list of things that occured during the month that I wanted to write about and hope to do so in more detail later. These are not necessarily in chronological order or of importance. The Supremes Rock & Rule! Author P HasselbacherPosted on June 28, 2015 February 13, 2017 Categories Health Care Reform, Hospitals, Indigent Care, Medicare, Opioid Abuse, Pharmaceutical Industry, Politics, Prescription Drug Abuse, Provider Payments, QCCT Trust, University of Louisville Hospital4 Comments on Potpourri of Health Policy Issues in June. 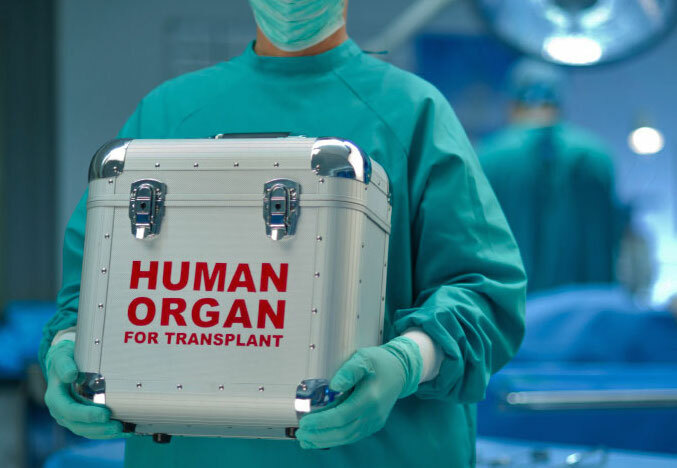 Financial Status a Barrier to Organ Transplantation But Not Donation. It is easier to give than to receive in the transplant world. Author P HasselbacherPosted on November 24, 2014 January 18, 2015 Categories Hospitals, Medicare, Transplantation3 Comments on Financial Status a Barrier to Organ Transplantation But Not Donation. 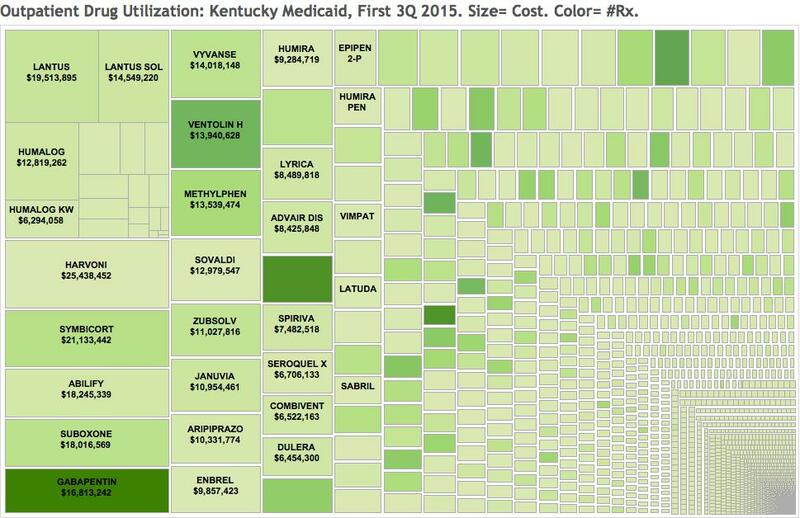 Medicare Payments to Oncologists in Kentucky. Since my initial exploration of Medicare’s Physician Payment Database, I have not done much with it. The expectation that the information would be of great interest to many has been validated, and the utility and shortcomings of the data better understood. The potential is great that these data can be used to improve the quality, affordability, and availability of medical care. As might have been predicted however, a great deal of attention has been focused on identifying medical malfeasance and fraud. Author P HasselbacherPosted on July 18, 2014 March 1, 2015 Categories Medicare, Provider PaymentsLeave a comment on Medicare Payments to Oncologists in Kentucky. Medicare Payments to Physicians and Other Providers: Analysis by Type of Provider. Surprises, Disappointments, Confirmations, and Puzzles. Most would agree, that transparency and accountability are in general, desirable. It does not necessarily follow however, that disclosure of previously hidden, obscure, or obtuse information arrives free of embarrassment for some or confusion for others. So it is with the recent unprecedented release by the Centers for Medicare and Medicaid Services (CMS) of the volume and cost of many of the services provided to some Medicare beneficiaries. Bothe the professional and lay media is fully energized with attempts to explain, excuse, or otherwise draw meaning from this voluminous and difficult-to-embrace set of data. Frankly, I have been rewarded with both surprise and disappointment, and with the satisfaction of solving puzzles. Clearly there is information here that both the professional and lay public must address if we are to benefit from a fair, effective, and efficient system of healthcare. Ranking of Provider Types and Payments. Author P HasselbacherPosted on April 25, 2014 April 25, 2014 Categories Medicare, Provider PaymentsLeave a comment on Medicare Payments to Physicians and Other Providers: Analysis by Type of Provider. Analysis of CMS Release of Medicare Provider Payments Begins! Both aggregate and detailed data for Kentucky and Louisville available for download below. The release last week by the Centers for Medicare and Medicaid Services (CMS) of services by and payments to physicians and other non-hospital providers reverberated as expected throughout the nation. Analysis of the massive database is, and will continue to expose the complexity, quirks, inequities, fraud, and sometimes just plain bizarreness in our current health care system. Some large media outlets such as the New York Times, the Wall Street Journal, and the Washington Post were allowed to organize and work with the data before it was released to the general public. Both these sites and perhaps others allow the public to look up individual providers, but comparisons of individuals or groups is cumbersome to impossible. Furthermore, neither of these two portals to the data includes all non-physician providers. In any case, a host of individual providers or professional groups are now scrambling to try to explain why they stick out like sore thumbs in terms of frequency of services, charges, or payments from Medicare. Eye doctors (and others) under the magnifying glass. Author P HasselbacherPosted on April 13, 2014 April 25, 2014 Categories Health Care Reform, Medicare, Provider PaymentsLeave a comment on Analysis of CMS Release of Medicare Provider Payments Begins! Medicare Payments to Physicians Now Available On-Line. Take a look at the results for Louisville and Kentucky. Our colleague Terry Boyd at Insider Louisville was probably the first out of the block this morning to report on the local results of the much-debated, long-opposed, and likely system-changing publication by the Centers for Medicare and Medicaid Services of the amounts of money charged by and payed to individual physicians and other providers for some Medicare patients. This previously top-secret financial and utilization information had not even been available to other physicians let alone the public. Long opposed by organized medicine as a violation of individual physician privacy, the public has gotten used to, indeed gained an appetite for such information about hospitals, nursing homes and the like. This is part of the movement to increase medical safety, quality, and efficiency. It also has been very helpful for identifying medical fraud and abuse. I predict that the release of physician payment data will have as much earth-shaking effect as last year’s release of hospital payment data illustrated by the now-famous article in Time Magazine, “Bitter Pill: Why Medical Bills Are Killing Us,” by Steven Brill. Author P HasselbacherPosted on April 9, 2014 April 25, 2014 Categories Health Care Reform, Medicare, Provider PaymentsLeave a comment on Medicare Payments to Physicians Now Available On-Line. Third Meeting of UofL Hospital Operations Review Committee. On April 5, the Ad Hoc Operations review committee of University Medical Center, Inc. (UMC) met for the third time. This was the first meeting in which substantive analysis was presented by the consultants of Dixon Hughes Goodman. Unfortunately, Committee attendance continues to dwindle. Only five of the 10 committee members attended, one of those by telephone. In the peanut public gallery were myself, reporter Patrick Howington, and someone from Brown-Forman. One additional meeting before a final meeting on May 9 is planned. The entirety of the meeting was a PowerPoint presentation by the consultants with only a few questions and comments from committee members. No handouts were presented as the material was said to be a work in progress. I could not help but suspect there was also some desire that the information not be disseminated. Indeed, most of the data presented must have been disappointing to the University. In any event, I photographed the projected slides and they are available here. Author P HasselbacherPosted on April 6, 2012 April 15, 2012 Categories Health Care Reform, Hospitals, Indigent Care, Medicaid, Medicare, Quality & SafetyLeave a comment on Third Meeting of UofL Hospital Operations Review Committee.